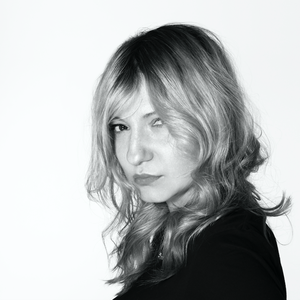 Simona Cristea is one of the industry’s most respected and sought-after commercial colourists. Colour has always been a driving force in her life. Following her formal fine art education, Simona went on to become an internationally exhibited artist with shows in Paris and Milan, before being led to colour grading where she adapted her craft skills and trained as a Colourist in her native Bucharest. Her natural creative talent combined with her technical skill, meant she quickly found success at home prior to going on to work for leading international post houses from Warsaw to Mumbai. She first established herself in London in 2007 and has garnered an outstanding reputation for the excellence of her work and her diverse portfolio including everything from subtle beauty work for major brands’ commercials and shorts, to highly stylised music videos. Simona has leant her sensibility and distinct visual style to hundreds of major international campaigns, working with industry-leading talents including Vicky Lawton, Sam Taylor-Wood, Trevor Robinson, Nick Knight and Rankin. Her music video résumé encompasses creating distinctive looks for artists such as Björk, Unkle, Franz Ferdinand, All Saints, Nicki Minaj, Paloma Faith and Jessie J. Simona has been recognised with several international colour-grading awards for her work across music videos and commercial campaigns.